Mango Reclaimed featured on Rogers 'Daytime Durham'. Mango Reclaimed featured on Rogers TV 'Know It All'. An article written by Mango Reclaimed published on the Local Experts Canada website! Read it here. A Mango Reclaimed painted hutch takes the cover spot of Look Local Magazine featuring an article about trendy chalk based paints. 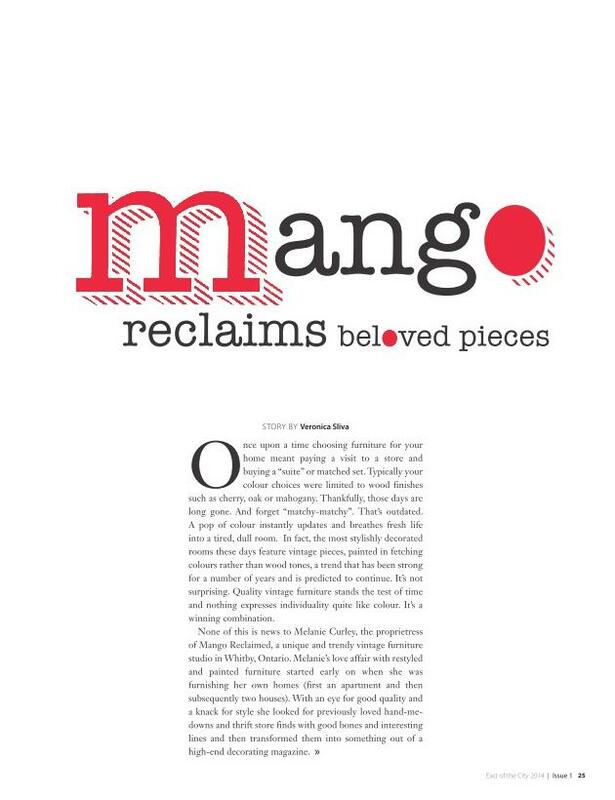 Here's a short video to explain what we do here at Mango Reclaimed. Video produced by Susan Woodman of Buzz Video Production. 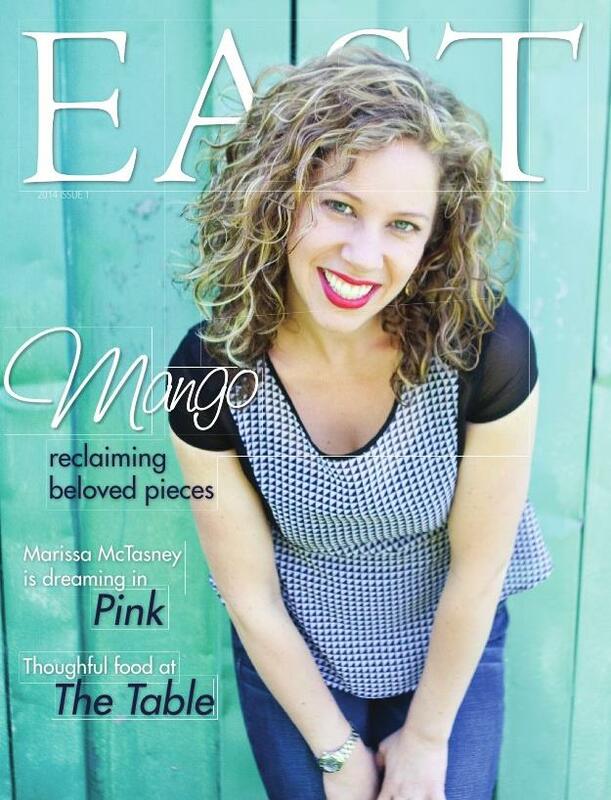 A cover and article feature in East (of the city) Magazine!